WBHRB Recruitment 2019 - Apply Online for 819 Facility Manager Posts in Department of Health & Family Welfare, WBHRB, Kolkata, West Bengal on Direct Recruitment. 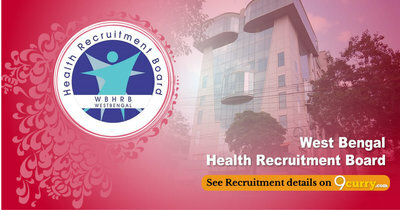 Online Applications are invited by West Bengal Health Recruitment Board (WBHRB) from 14 Feb 2019 to 25 Feb 2019 04:00 PM for 819 vacancies. Pay the Examination Fee through GRPS ( Govt. Receipt Portal System ), Govt. of West Bengal under the Head of Account ‘0051-00-104- 002-16’. 39 years as on 1st. January, 2019. The selection will be on the basis of Examination/ interview. Eligible candidates may apply online at WBHRB's website (direct link is given below) from 14 Feb 2019 to 25 Feb 2019 04:00 PM. Candidates log on to http://www.wbhrb.in/. Go to "Recruitment > Online Application" & Select the desired post.